Teaching and Learning with Technology offers multiple ways for faculty, staff, and students to store and access their personal files from any internet-connected device. When you are working in a lab or classroom, save your data to our servers, then access it later from anywhere. All computers in TLT Technology Classrooms and TLT Student Computing Labs can easily access PASS and UDrive storage. 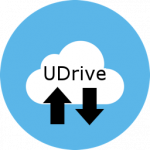 Read the IT Knowledge Base article on mounting UDrive and Pass disks on a MacOS platform. Box : A 3rd Party service offered by Penn State for use by faculty, staff and students. Box has a number of useful collaboration features, and you get unlimited storage space. The IT Knowledge Base can help you get started, or Log into Box and give it a try. Our WebFiles application is the fastest and easiest way to access data stored in PASS or UDrive. Since it is a web application, you can access your data from any device with internet connectivity.